Flat Feet: What are They and Can They be Fixed? On a normal foot the arch is visible at all times, regardless of whether you’re standing, sitting or lying down. 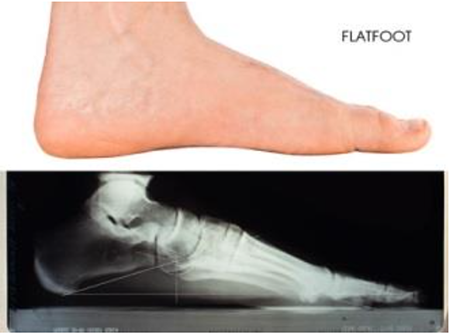 Adult-acquired flatfoot, also referred to as “fallen arches” is a condition in which the arch of the foot has collapsed.